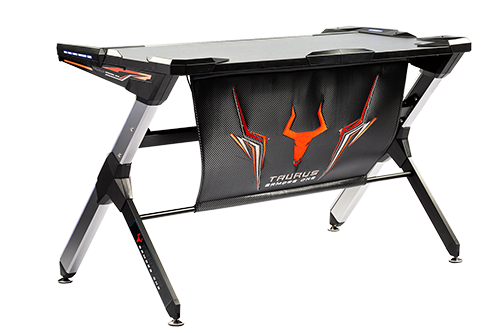 ITek Taurus expands its catalogue: welcome, Gaming Desks! 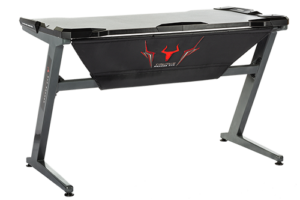 With great enthusiasm we present a new category produced in the ITek Taurus range: following the Gaming Chairs, the Gaming Desks are finally here.  Essentials for the most avid fans and much-needed for all users who are looking for an appealing solution in the right space. This is iTek Taurus GAMDES ONE. The versions already available in Italy are two, GAMDES ONE RED and GAMDES ONE RGB. iTek GAMDES ONE Red, is a desk designed with high quality materials, such as wood for the base and steel for the “Z” frame, guaranteeing solidity and stability. 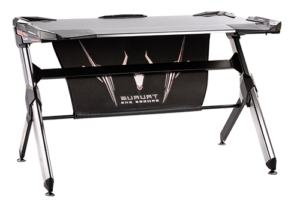 Together with the details for maximum customization, the desk comes with adjustable feets to avoid movements in case of an uneven floor. This model, which measures 123 cm (L) * 74 cm (H) * 66 cm (W), is equipped with red LED lighting. iTek GAMDES ONE RGB, with about the same size – 123 cm (L) * 75.5 cm (H) * 67.8 cm (W) – and the wooden base with aluminium plate, is proposed with a fully aluminium frame. The details are in ABS, as well as for the Red model. The same accessories, such as adjustable feets, are available in the package to best suit your needs. 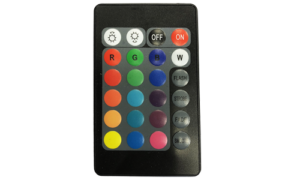 The supplied RGB LED allows to customize the lighting both in the upper part and the frame, adjusting it to a fixed color to choose between blue, green, red, light blue, purple, yellow, white or with two different effects. The packs include the instruction booklet and the relevant components for a quick and easy assembly. 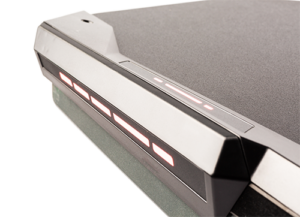 ITek intends to continue to conquer the enthusiast market with this new solution, a solid and sturdy product, in line with the current gaming trends but with a sober style and reduced dimensions. The newest comer in iTek stands out for its avant-garde and versatility. Today we present the new iTek liquid cooling system. ICEBLACK is an “All in one” pre-filled, therefore free from maintenance and refills, and is demonstrated immediately practical, silent and efficient. With its extraordinary design, the pump with ceramic bearings, the copper base plate and the radiator, guarantee a long life cycle and an excellent dissipation. It is easy to install and compatible with most Intel and AMD CPUs, thanks to the brackets present in the original packaging. The PFA coated tubes, with a diameter of 10mm, are extremely reliable and allow excellent angles of rotation. 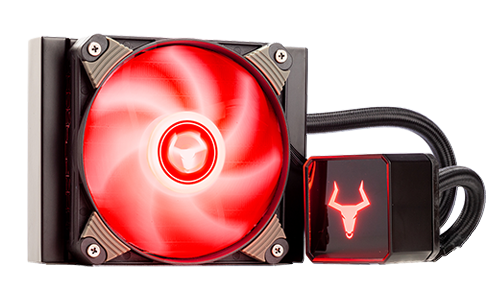 The greatest advantage is its versatility, in fact the RGB lighting of the Taurus logo and the fans can be managed, at user’s discretion, by remote controller or by software. 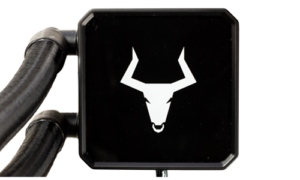 The cooler is available in two versions: ICEBLACK 120 RGB and ICEBLACK 240 RGB. 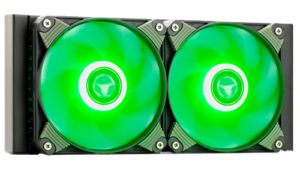 They only differ for the single 120 mm fan with black aluminum radiator (155 x 120 x 27 mm), or for the double fan of 240 mm (120 mm x 2) with the radiator in the same material (275 x 120 x 27 mm). The fan, with a 4Pin connector and PWM functionality, has 12V voltage and works at speeds from 500 to 1800RPM. 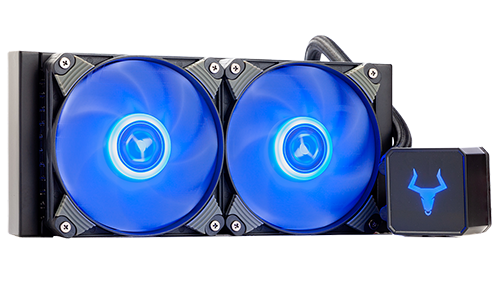 One of a kind: our new ICEBLACK liquid coolers are positioned on the market at a great price! Like all iTek products, the warranty is 24 months. iTek introduces a couple of news in Taurus gaming peripherals line, strictly RGB: A mechanical keyboard and a mouse, both programmable. 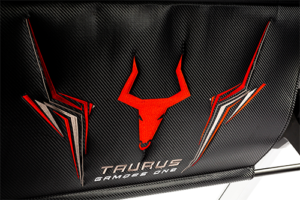 iTek jump to capitalize on gaming chairs with the new Taurus E1 series. Exclusive design and additional color in the range.